Chatham Township is an area governed by the township form of government in Morris County. As of the 2010 United States Census, the township's population was 10,452. Ages ago Chatham Township was the southerly edge of a glacial field. A large, deep lake covered what is now the Great Swamp. The same glacier gave the township many of its other distinguishing features: the Passaic River along the entire southern border, the wooded ridge parallel to the river and the gentle rolling hills that offer an expansive view over and beyond the Great Swamp. There are excellent shopping facilities available locally in the Hickory Tree section and at nearby Short Hills Mall. Cultural opportunities include historical, art, garden and musical groups, as well as the facilities and programs of neighboring universities. 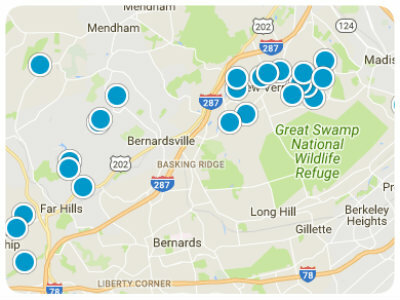 Chatham Township offers residents open spaces while still being centrally located. 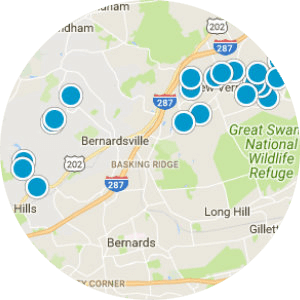 There are excellent shopping facilities available nearby in Short Hills, Summit, Madison, and Morristown. Located in Morris County is The Great Swamp Wildlife Preserve. Chatham Borough also offers several recreation areas: Shepard Kollock Park, offers a covered picnic shelter, an all purpose field, baseball, softball, a boat launch and a playground; Memorial Park, offers a tree covered playground, softball/baseball, an all purpose field, basketball, picnic tables and a swimming pool; Garden Park, offers tennis practice boards, 6 tennis courts, basketball and a playground area. 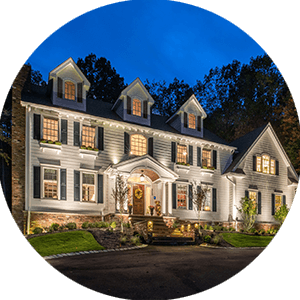 Chatham Township is a quiet, carefully developed, residential community in north-central New Jersey. Chatham has many fine homes, townhouses, and condominiums and offers suburban attractiveness as well as efficient railroad, bus, and highway commuting to New York City and surrounding metropolitan North Jersey. 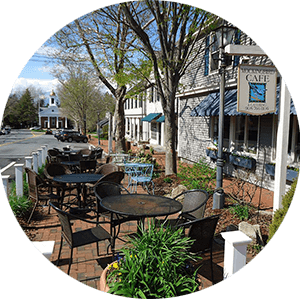 Chatham Township is a family community whose residents take pride in their green, forested land at the edge of the Great Swamp. In 2008, Chatham Township was voted the number one place to live in New Jersey by New Jersey Monthly Magazine. The Chatham Regional school system consistently ranks highly. For the 2004-05 school year, Chatham High School was recognized with the Blue Ribbon School Award of Excellence by the United States Department of Education, the highest award an American school can receive. The school was the 20th-ranked public high school in New Jersey out of 328 schools statewide in New Jersey Monthly magazine's September 2012 cover story on the state's "Top Public High Schools", after being ranked 8th in 2010 out of 322 schools listed. Morristown Medical Center is just a few miles away. New Jersey Transit stops at the Chatham station to provide commuter service on the Morristown Line, with trains heading to the Hoboken Terminal and to New York Penn Station in Midtown Manhattan. It is a short drive from most of the township to the stations in Madison and Chatham, and for the southern part of the township, the Murray Hill station is closer still. New Jersey Transit local bus service is provided on the MCM3 and MCM8 routes.